Banks are likely to infuse fresh funds into cash-strapped Jet Airways provided major shareholders of the airline, including Gulf carrier Etihad Airways, pledge their shares as collateral, sources said. With the airline unable to get fresh funds, the options are limited now, they added. The full service carrier is grappling with acute financial woes that has resulted in grounding of a significant number of planes, defaulting on debt repayments and delay in payment of salaries to pilots and other senior officials. Founder Chairman Naresh Goyal and his family owns around 52 per cent stake in Jet Airways while Etihad, a strategic partner, has 24 per cent shareholding. The sources said that banks can provide further loans if major stakeholders --Goyal and Etihad -- agree to pledge their shares as security. A consortium of lenders, led by the State Bank of India (SBI), is working on a resolution plan for Jet Airways, which has a debt burden of more than Rs 8,200 crore. Earlier, sources said that Goyal had agreed to pare down his holding to 22 per cent as part of securing a deal to bailout the airline. Last week, a senior SBI official expressed hope that resolution should be finalised in a week or so. On February 14, Jet Airways board approved a bank-led resolution plan whereby lenders would become the largest shareholders in the airline. Following approval from the shareholders, part of debt would be converted into 11.4 crore shares at a consideration of Re 1 apiece as per the RBI norms. 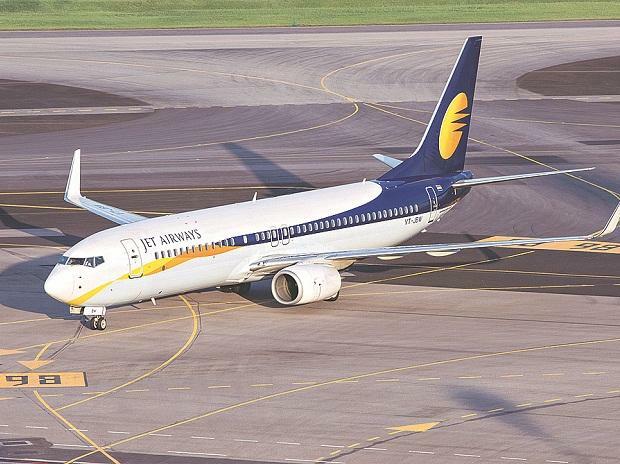 Since January, Jet Airways has defaulted thrice on payments to its debenture holders. So far, the finance ministry has maintained arm's length in the matter due to its commercial nature and creditors and debtors are working on the resolution plan, according to sources.